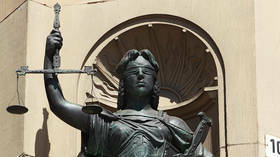 Lady Justice, the famous symbol of the US legal system, is depicted by a blindfolded goddess who wields a sword in one hand and a set of scales in the other. The blindfold is meant to convey the idea that all people are equal before the law, and everyone will be judged without bias or preconceived notions. Today, however, the blindfold appears to have slipped, and Lady Justice is increasingly meting out justice according to status and financial well-being of the person appearing before her. In order to avoid imminent disaster, it’s time to firmly affix the blindfold and ensure that all Americans – not just those who can afford it – are seen as truly equal before the law.